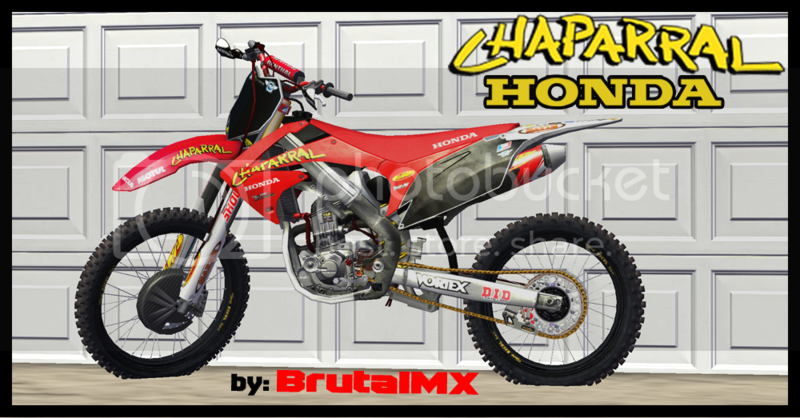 Chaparral Honda 250F/250F | 500th!$!$!$!! -This is NOT an exact replica, had some fun with the rear fender and such. Simple, clean looking design FTW! 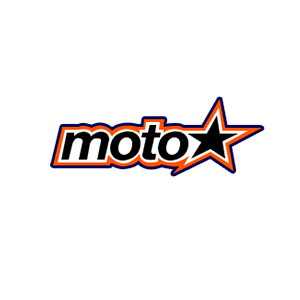 Re: Chaparral Honda 250F/250F | 500th!$!$!$!! Meant to quote this is not an EXACT replica, and also that I made the pipe! Do you have the correct model? Clean and simple looks good brutal. 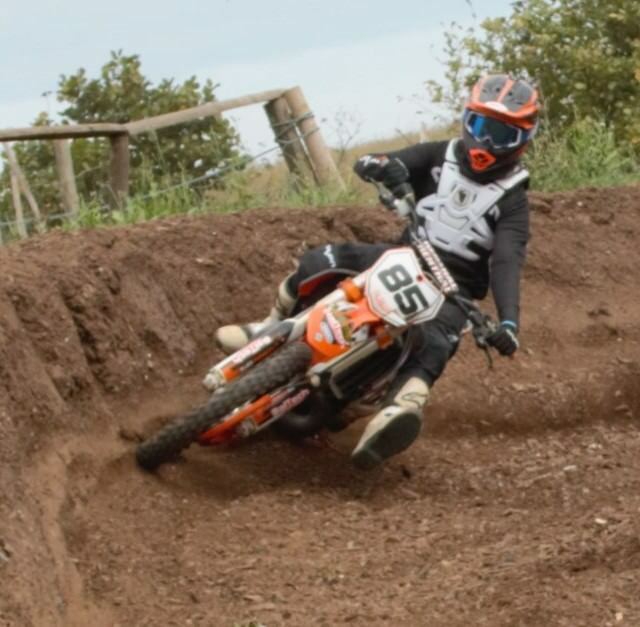 Makes me want to get back on my skinning i'm lagging. Love the skin, any chance you can make a 125 version? Tony el Tigre wrote: Love the skin, any chance you can make a 125 version? Thanks! If I can find a good enough template for the CR125 then yes I will. Oh i havent downloaded it i didnt know it was a saf derp on my part. Sorry.